A usual problem in any large music collection is that we may have quite a few duplicate or missing tracks. 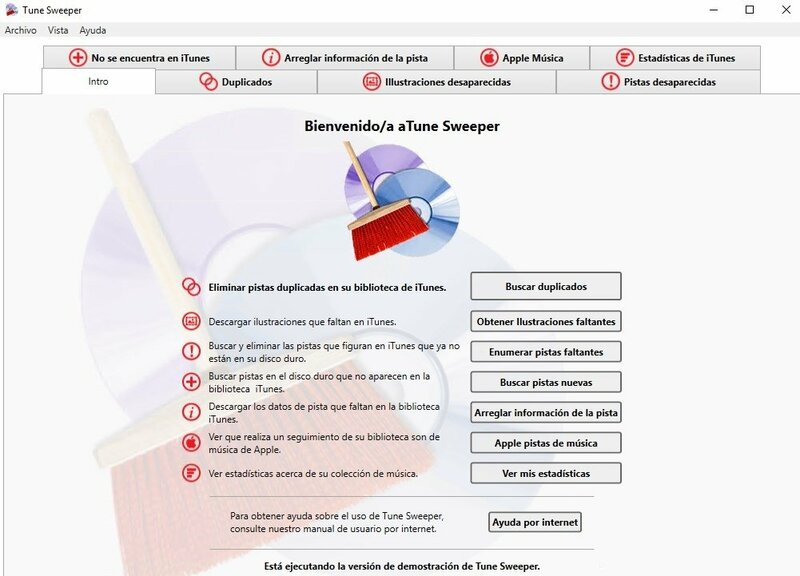 If you're a usual iTunes user because you purchase and download music from this store or because you listen to music on your iPhone or iPod, Tune Sweeper is the tool that will help you solve any problem of this nature. The most complete maintenance works for your album collection. Delete duplicate tracks: remove any song that's repeated within your collection. You can do so depending on different criteria such as the quality, the latest playback date or the length. The system detects them automatically but is also capable of suggesting other options before carrying out the process. Download missing covers: with this program you can search on the Internet for album covers missing in your collection. It automatically associates a download source after finding it. 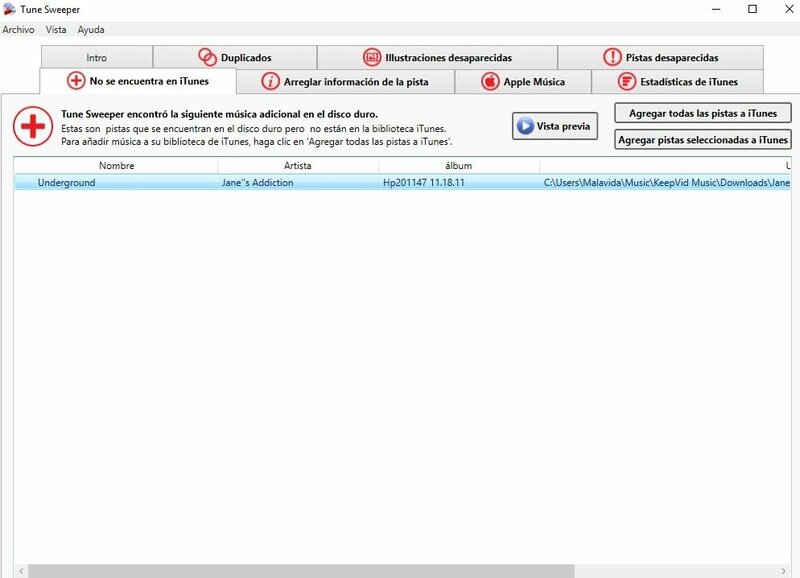 Delete missing songs: the playlists may still contain references to the track but the file has been deleted. The application checks your entire library making sure that each reference corresponds to an existing file. Correct missing or incorrect file details: aspects such as the author, genre or album may be incorrect or simply missing. Tune Sweeper helps you to locate the tracks affected by this issue. Usage stats: with this program, you can find out how you use iTunes and how you listen to music. For such purpose, it offers usage statistics representing its data visually on charts. 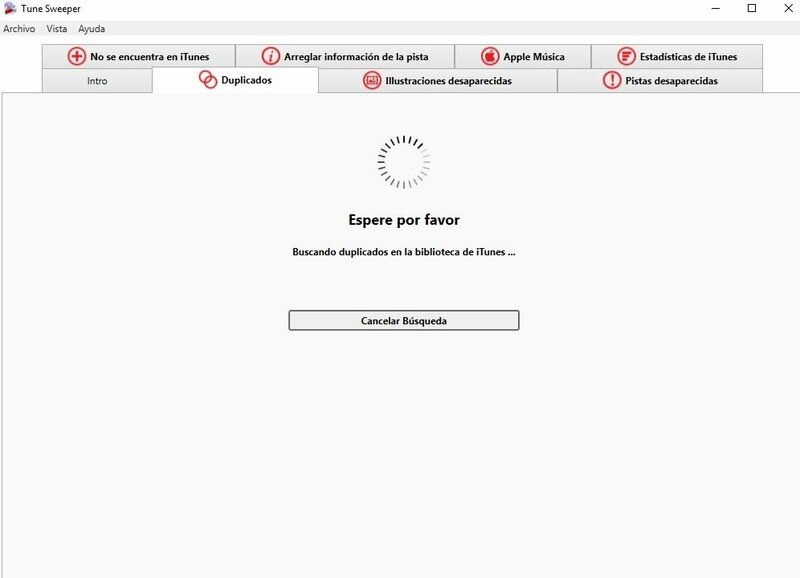 It's definitely an excellent tool to make our user experience with iTunes as satisfactory as possible, taking full control over the music playback of our album collection and songs in MP3 format.